U.S. primary insurance giant Allstate has started 2019 with a lower level of catastrophe loss experience, hinting at a quieter start to cat loss activity in the United States, which reads across to reinsurance and ILS players as positive for the first two months of the year. Winter storm and severe thunderstorm, or convective weather, is typically the main driver of weather and catastrophe losses though January and February in the reinsurance sector. Some years the winter storm activity has driven significant losses through to reinsurers, with some insurance-linked securities (ILS) funds picking up a little of the claims burden. In 2019, while winter storms still hit the north and mid-regions of the United States, impact to an insurer with the scale and reach of Allstate has been much lower than the prior year. Allstate reported that its January and February 2019 catastrophe losses are estimated at $299 million, pre-tax ($236 million, after-tax). These figures are typically reported after the benefit of any reinsurance claims the insurer has been able to make. Catastrophe and severe weather loss activity was evenly split across the two months for Allstate. In February 2019 alone, the catastrophe loss total reached $151 million, pre-tax ($119 million, after-tax). 10 loss events that occurred in February drove an estimated cost of $140 million, pre-tax ($111 million, after-tax), while the other $11 million of impact came from unfavorable reserve reestimates of prior period catastrophe losses. Allstate said that a single wind event, that mainly impacted Pennsylvania, Ohio and New York, accounted for approximately 60% of February event catastrophe losses. After the news, investment analysts studying the insurance and reinsurance sector said that Allstate’s losses were significantly lower than they had previously expected. For Credit Suisse analysts the total January and February catastrophe loss burden was around $60 million lower than it had expected. While at KBW, analysts lowered their catastrophe loss estimate for Allstate for the first-quarter of 2019 to $502 million from $744 million. 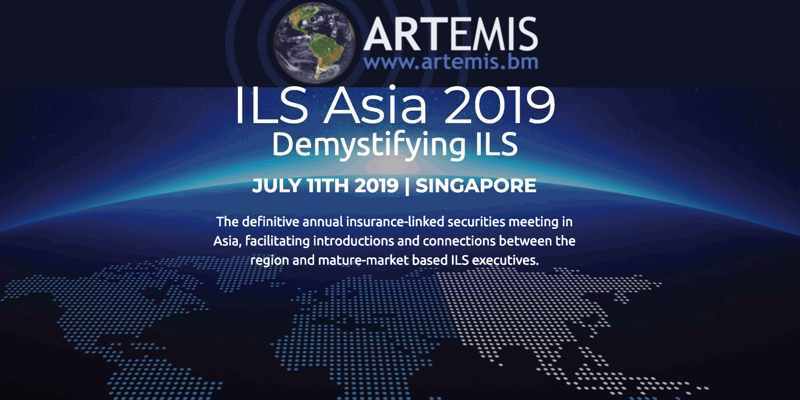 So a quieter start to the year than had been forecast, reading across to reinsurance and ILS interests as more chances of a clean two months of return to begin 2019. With severe thunderstorm and convective weather having struck in March, it will be interesting to see how catastrophe losses tick up for major insurers in that month.